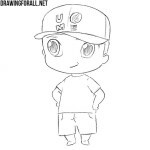 Our is site literally filled a variety of characters from comics and anime, drawn in the style of chibi. You really like these lessons, and we very much like to draw them. 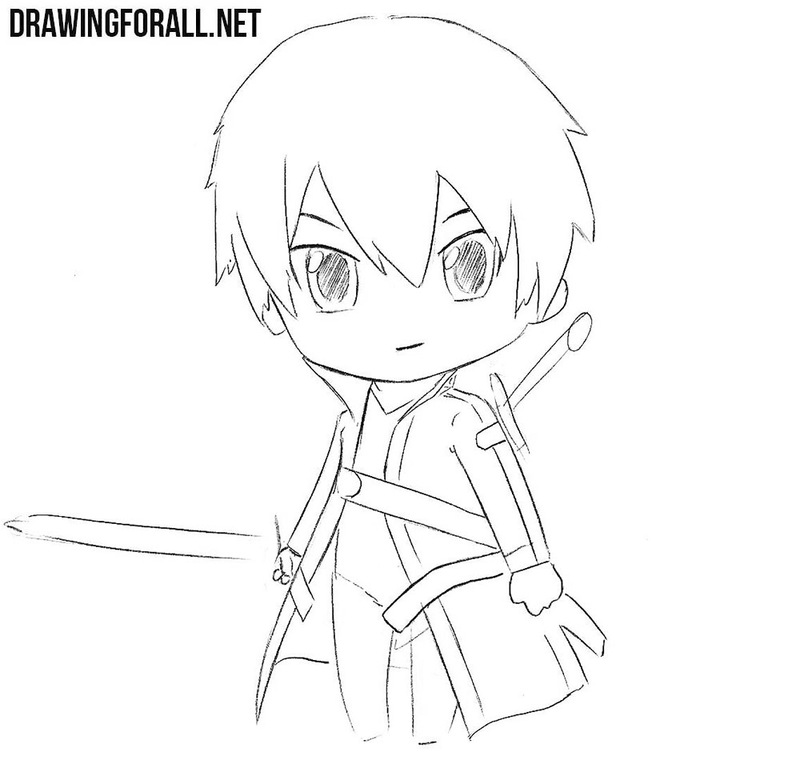 And today we will continue this subject with a lesson on how to draw chibi Kirito. 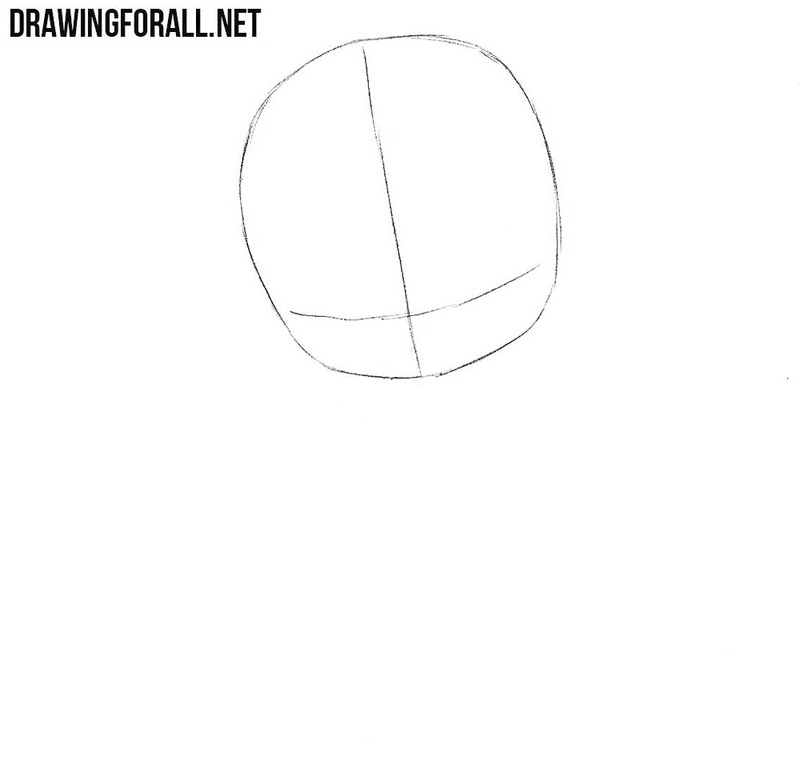 By tradition, let’s start with the head of our character, outlining it in the form of such a round shape. 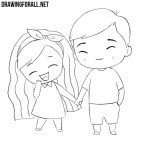 On this very head, we sketch two lines, as in our example. Now we will outline the most basic details. On the head we sketch out the hair and the details of the face. 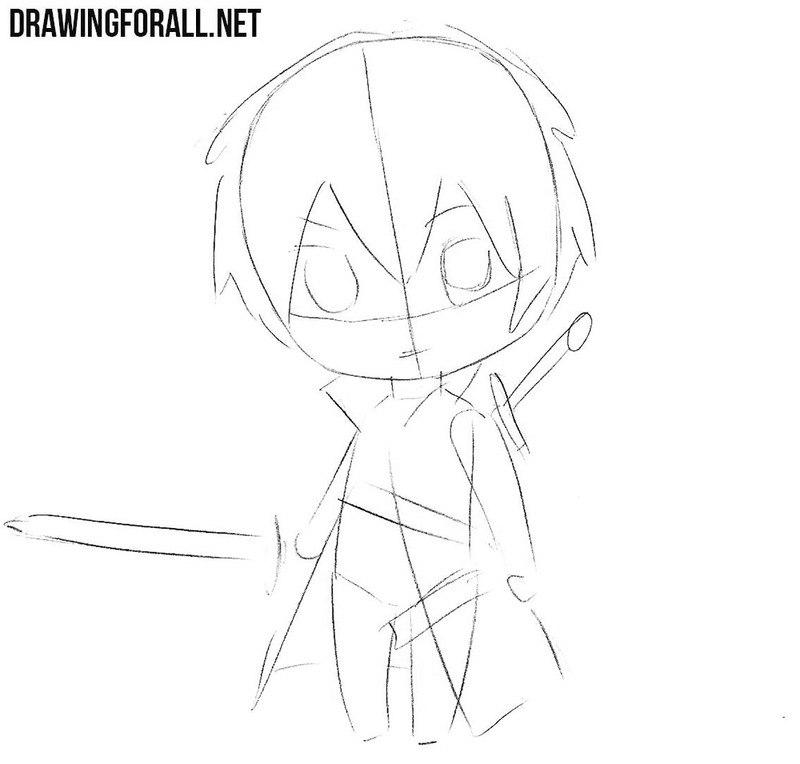 Next, sketch the outlines of a coat and swords in hand and behind. Starting from this step, we will traditionally draw out the details. 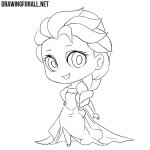 Using clear lines draw the eye and shade the pupils, leaving a glare in them. Now with the help of clear and dark lines draw out the outlines of the hair and face. Do not forget to remove unnecessary guidelines from the head. This step will be very difficult, because here we will need to draw out all the necessary lines and details on a complex coat. The last step will also be quite complicated. 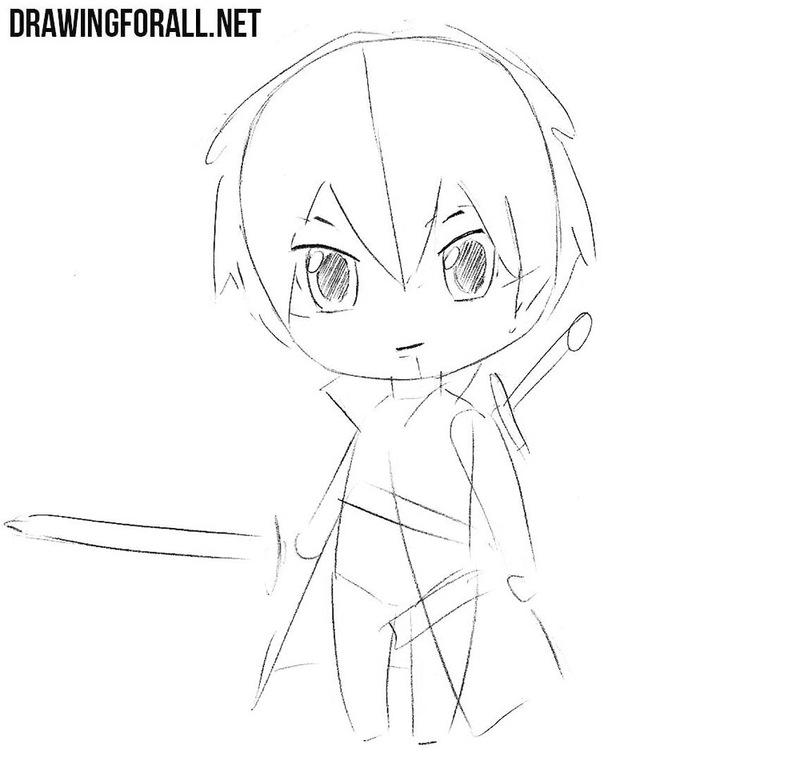 Here we will need to draw hands, swords and legs. 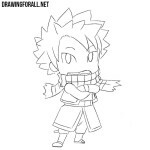 In the same step, we need to delete all the remaining guidelines from the chibi drawing. 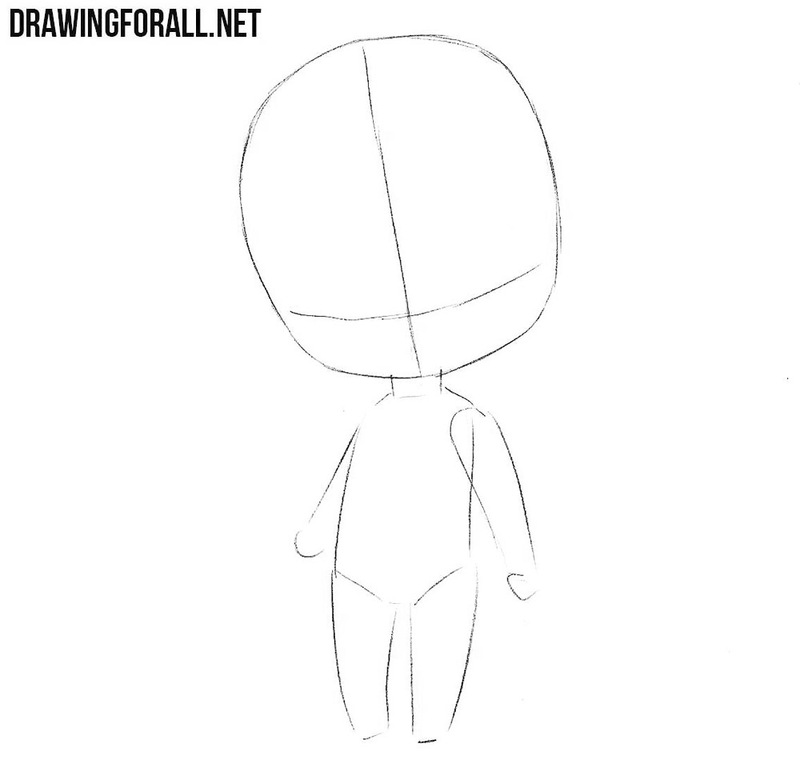 This drawing tutorial was clearly not one of the most difficult on our site, but at the same time one of the most interesting. As you already know, this is not a single article about the anime characters drawn in the chibi style. 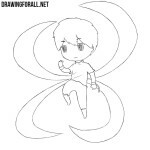 In the category under the name “Anime” there are a lot of similar articles, so go there and learn to draw them all. 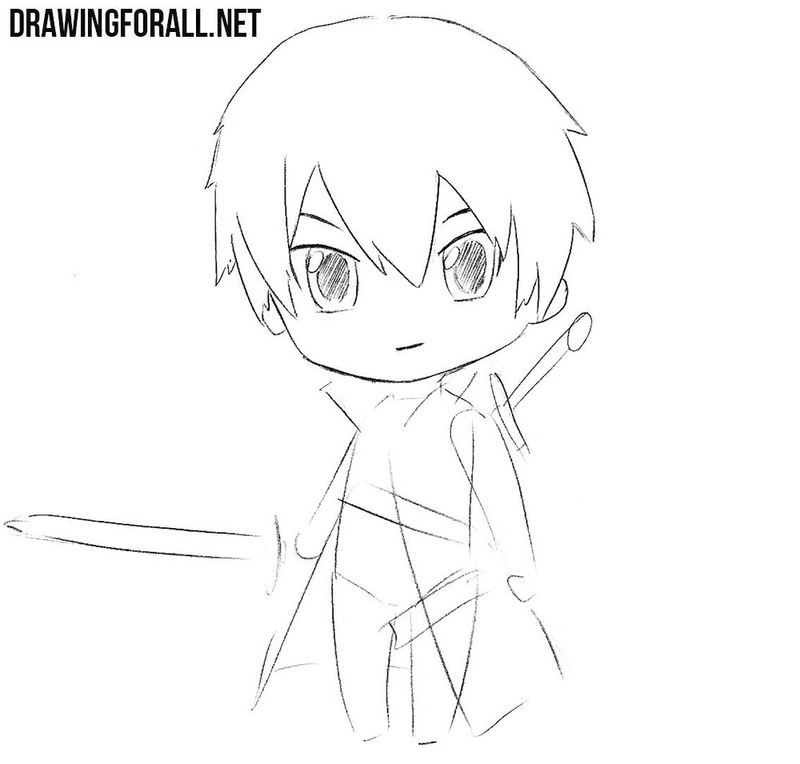 Finally something SAO (Sword Art Online) fans can draw to show their friends or show their love for the show. 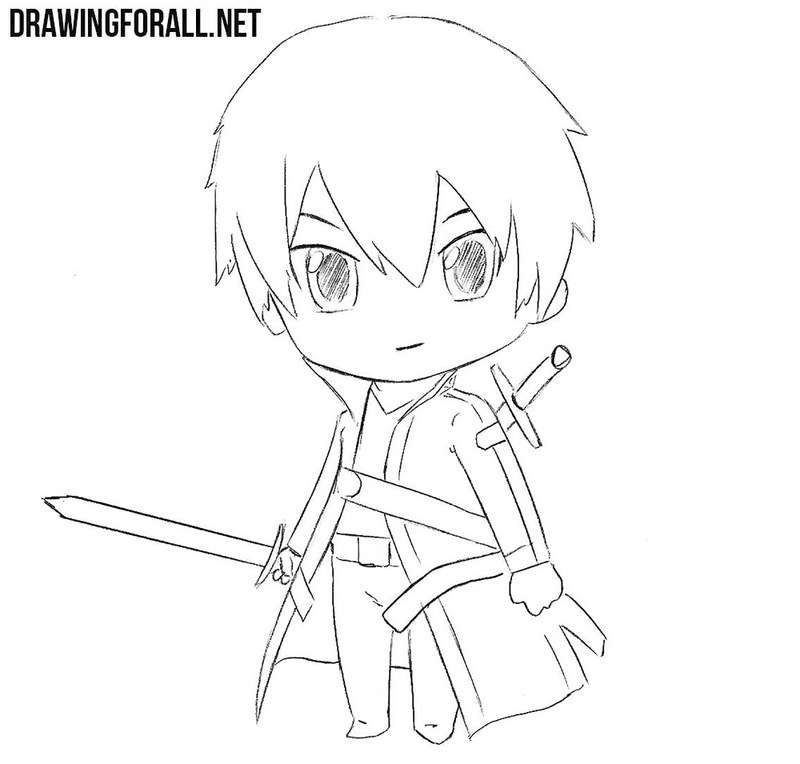 Chibi Asuna?I’m asking because I want to put them in one drawing together.